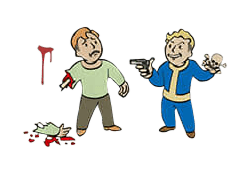 Critical Banker is a Perk in Fallout 4. It is associated with the Luck Stat. Rank 1:You're a patient battlefield tactician, and can save a Critical Hit, to be used in V.A.T.S. when you need it most. Do not ignore this perk. You can execute 3 Critical Shots at rank 2. Combine it with Kellogg&apos;s Pistol and you become a kill-machine.